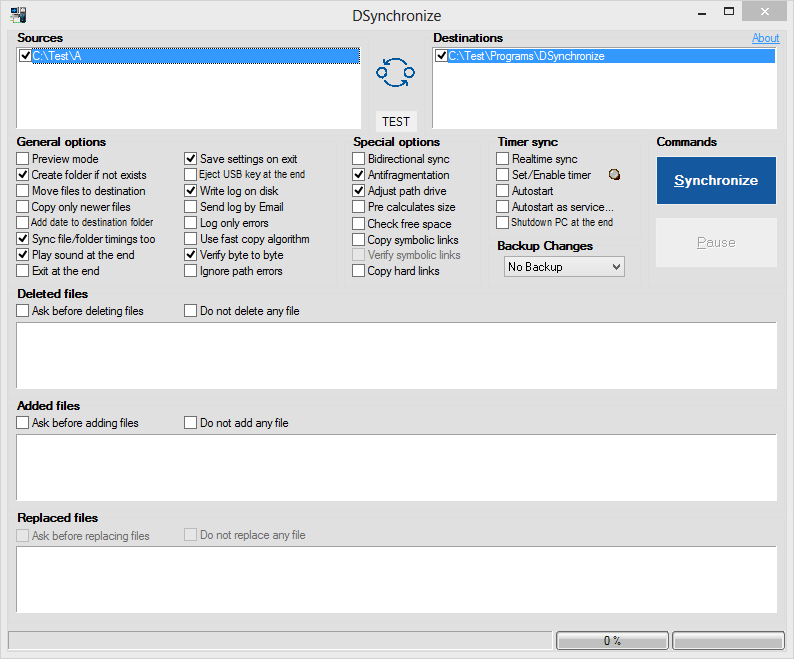 FileVoyager is a customizable, feature-rich file manager that supports tabs, themes, color customization, and a ribbon or classic interface. 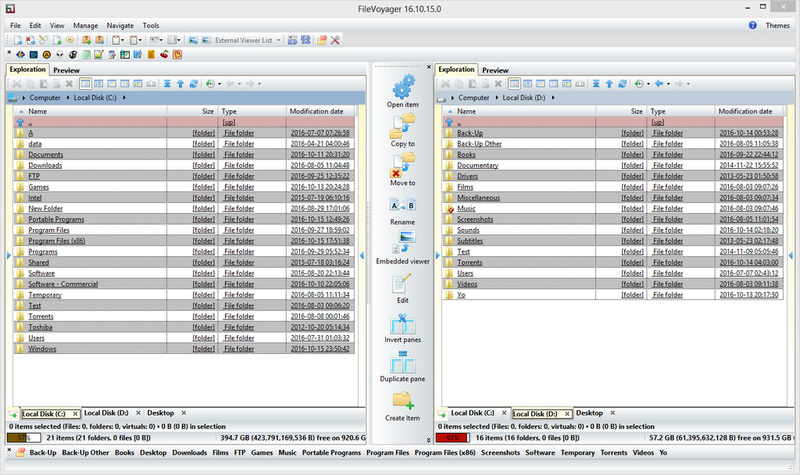 The program uses an "orthodox" or two-panel commander-style view of disks, folders (real or virtual), shares, archives, and FTP/FTPS. It supports a long list of file operations, archive creation, media file playback, display modes, quick preview, application bar, favorites bar, file comparison, minimize-to-tray, and much more. FileVoyager now contains a Hash tool. Can't find what you are looking for? This list shows entries with Files - Comparison as a supplementary function. You can view more entries with Files - Comparison as a primary function.